Death is Not the End | Who Killed Orrin Grey? I avoided talking about this for awhile, in order to avoid spoilers, but I think we’re past that time now. It’s been reported by major news outlets, it’s plastered up all over the Internet, there’s a big banner at Dark Horse.com, the comic has been out for a week now, and I’ve even seen a cake commemorating the event. Hellboy is dead. The death of a major character has never carried much weight in comics. In comics, people die all the time, and everyone always makes a big fuss, and then they’re back again before you know it. Even the death of Superman some years ago, which made the national news, was overturned in relatively short order. I remember when I was a kid there was a joke amongst comic fans that the only person who ever stayed dead in comics was Bucky, and last I knew he’d actually been dusted off recently and brought back as the Winter Soldier. In the wake of the announcement of Hellboy’s demise, I saw a lot of people reacting the way that they would in response to the deaths of one of these characters, the kind who are always back again shortly. But Mike Mignola’s Hellboy has never been a normal comic. We’ve lost major characters in it before, so we have some idea of what to expect here. As Mignola himself says, when people die in his comics, they just get more interesting. Rasputin died at the end of Seed of Destruction, the first Hellboy mini-series, and he stuck around to bedevil Hellboy as a ghost for a long time to come. But there’s something else that Mignola always says about his comics, which is that when they break stuff in them, it stays broken. This isn’t some kind of publicity stunt death, and it’s not something some other writing is going to ret-con or overturn in a few months or even a few years. Hellboy is dead, yes. And he’s not gone, no. But he is changed. That’s what death is, in the Hellboy comics. It’s a change. And once things change, the status quo is never restored. But we don’t really have to speculate too much on what this means for the future of Hellboy. We’ve already been told. It’s right there in the title. “Hellboy in Hell, coming in 2012.” There was never any illusion that this was The End. For some time, Mignola has been saying that he’s going to be returning to regular art duties on Hellboy once this arc with Duncan Fegredo was done. Now we just have a little bit better idea what those drawing duties are going to entail. I’ve seen a lot of people worried, but I’m not. Mike Mignola is my favorite creator, full stop, and I trust him pretty implicitly by this point. Whatever he does, whatever direction he goes, I’m sure it’s going to be cool, and I’m even more sure that it’s going to be inspiring. And if what we’ve got in store is more “pure Mignola,” well, that’s even better. So, Hellboy is dead, long live Hellboy! Okay, so I finally read it today, and now. I’m catching up on all the commentary. 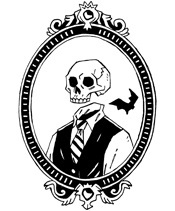 . . I’m excited that Mignola is going to be doing the art again. I hope he’ll focus on shorter, self-contained stories similar to the early Hellboy stories. I’m nervous that it’s going to become so disjointed it doesn’t make any sense at all and just becomes a sketchbook of splashpage after splashpage of Hellboy in awesome poses. But I’ll definitely stick with it for awhile just to see where it’s going. I’m willing to put a lot of faith into anything that gets Mignola back behind the drawing board regularly. I’d love to see smaller, more self-contained stories, too, and I hope that’s what we’re going to be seeing. If I had to guess, I’d guess we were looking at stuff that was a little more surreal in the vein of the supporting stories in Amazing Screw-On Head & Others, only not as humorous. But we’ll just have to see.